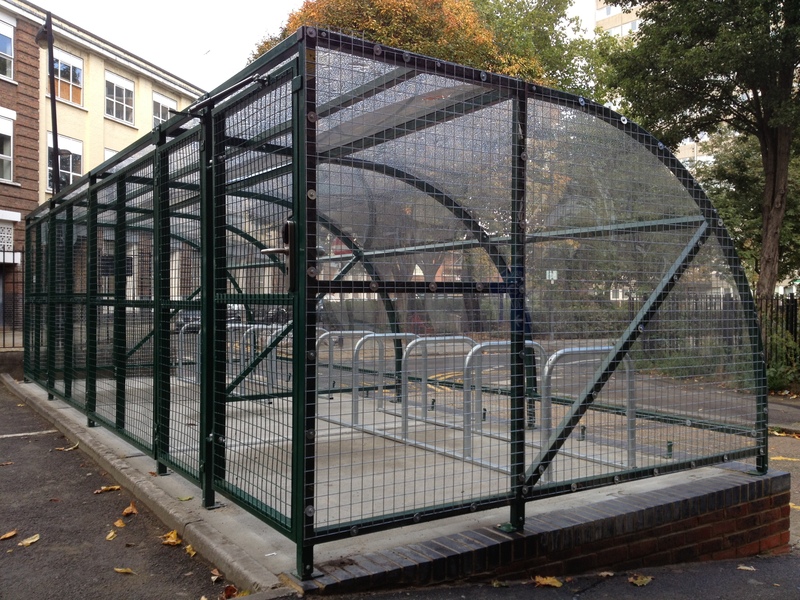 Mild steel Cycle shelter with boltdown fixing. Shelter is available in a galvanised or polyester powder coated RAL code colour finish. Comes with cycle parking, galvanised toastracks.